Several months have passed since I last updated my first Giga Bowser moveset hack. 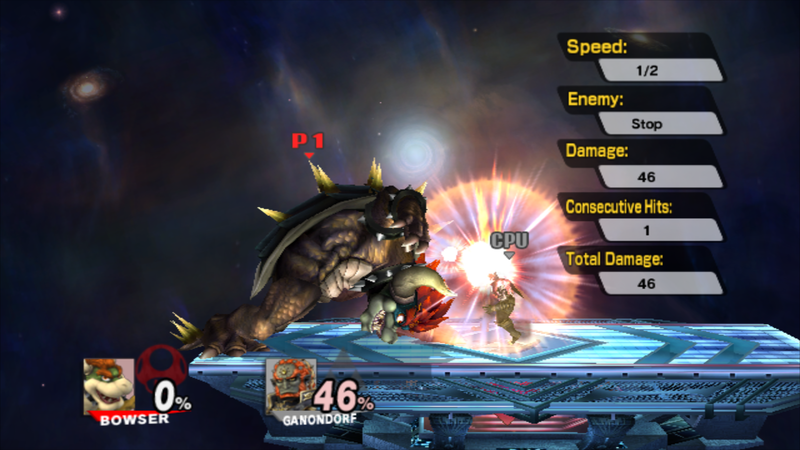 However, after doing a large amount of tests, and even studying the damage multipliers that are used when fighters are giant-sized, it pretty much became clear that Giga Bowser needed to be worked on even further. This moveset hack basically makes Giga Bowser the pure monster that he was meant to be. Most of his attacks now deal greater damage that's strong enough to exceed the Super Mushroom's 1.56x damage multiplier in standard smash matches. 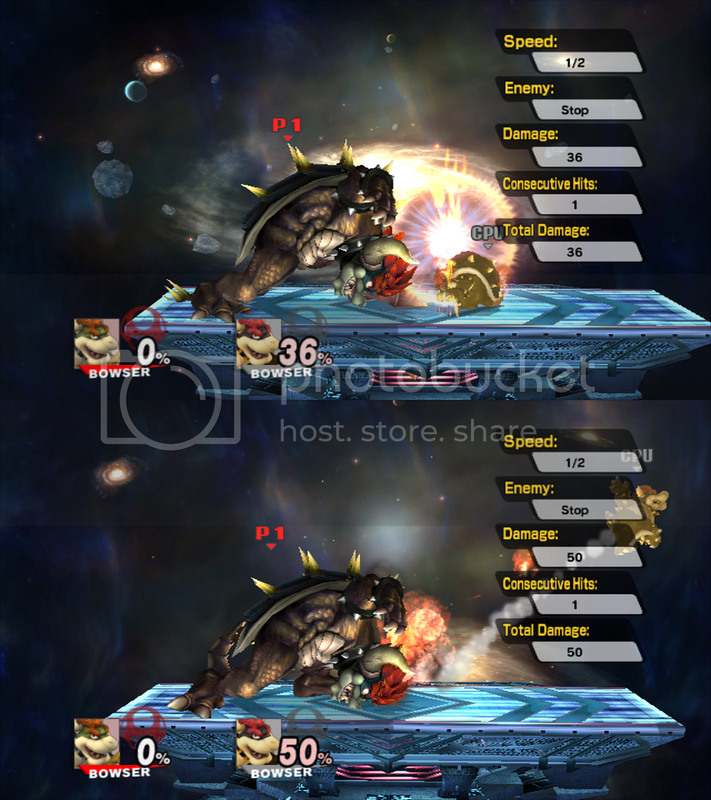 In fact, Giga Bowser even hits harder than most fighters who are made giant-sized by the Lightning (they use a 1.84x damage multiplier for their direct attacks). If you think that Brawl Meta Knight is uber, this Giga Bowser basically makes him look like a joke. And the power boost is pretty much justified when you consider that Giga Bowser is unaffected by size changing items. A lot of the moveset adjustments that are in my first Giga Bowser moveset hack do make a return, but there are some extra improvements as well. First up, the down aerial now deals up to 10 hits, with the final hit dealing very strong knockback that sends fighters plummeting downward. Even the first 9 hits can send fighters straight down, but the fixed knockback is still on the weak side for each hit. I was also able to improve the knockback for Giga Bowser's Fire Breath, enabling the attack to build up damage more easily against larger targets. I had to use a hex editor to make this adjustment though. On a side note, if you don't like the idea of using an overpowered Giga Bowser, you can still download my first Giga Bowser moveset hack, which can be found at the following link. With that said, if you wish to destroy the competition, just contact this Giga Bowser, and he'll do the rest. Just keep in mind that Giga Bowser doesn't stick around very long (if you're not using codes), so try to take advantage of his power before he reverts back to Bowser. 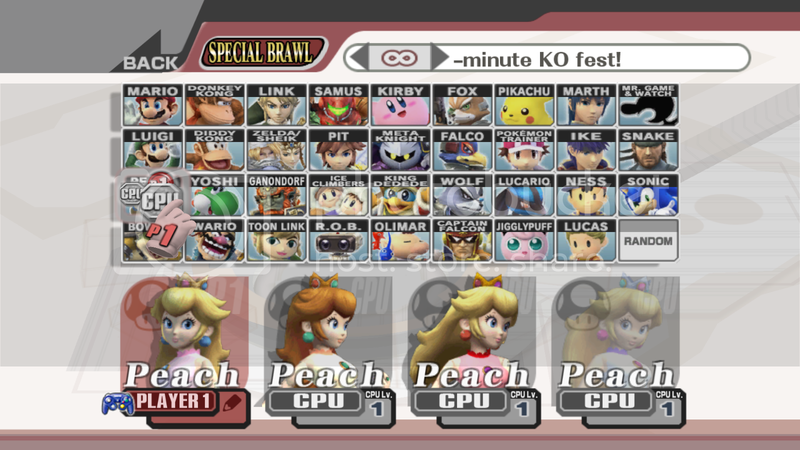 Throughout my time doing hacks for Super Smash Bros. Brawl, I never did do any actual moveset edits. 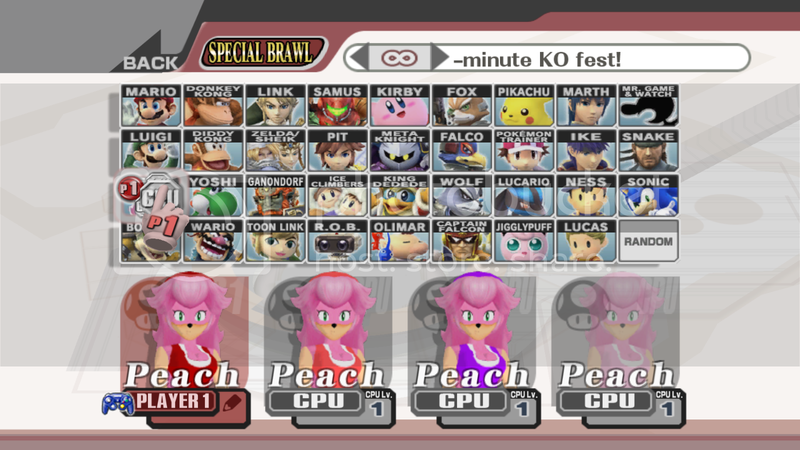 However, I have done some moveset edits in Super Smash Bros. for Wii U, and decided to recreate one of the edits for at least one fighter in Brawl. In this case, it's Giga Bowser. Here, I basically replicated all the changes that I made for Smash Wii U Giga Bowser onto his Brawl incarnation, which includes all damage and knockback adjustments. Some of the most notable changes include the f-smash, where the head hitbox now has enough power to KO fighters at 0% damage when fully charged. Another change is to the d-tilt, where the first hit will always deal fixed knockback. 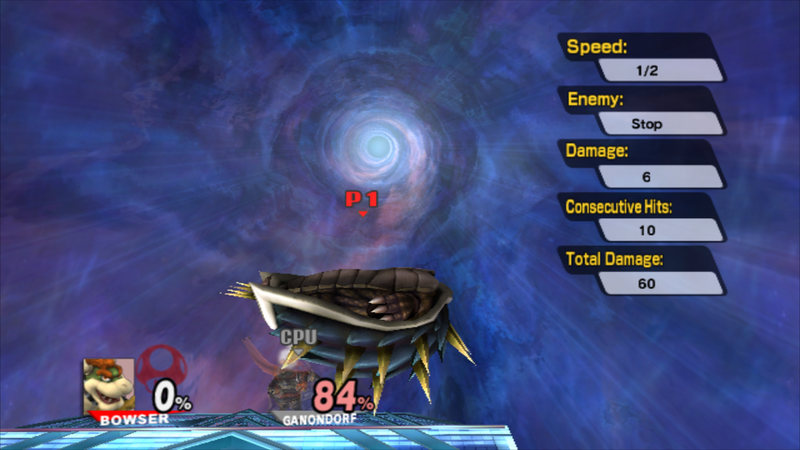 Aerial Whirling Fortress can potentially deal up to 60% damage if all the hits connect, but Brawl's physics make that tougher to accomplish than in Smash Wii U. The Bowser Bomb had an interesting element in Smash Wii U, where it could potentially deal as much as 65% damage. However, that apparently can't be replicated in Brawl, as even against big targets, at best, the attack dealt up to 35% damage. I also modified Giga Bowser's attributes so that they're more like his Smash Wii U incarnation's attributes (such as his running speed value being set to 2), but the fast-falling speed value is kept at 3.5, since most Brawl fighters have their fast-falling values set to 1.4x their falling speed value. 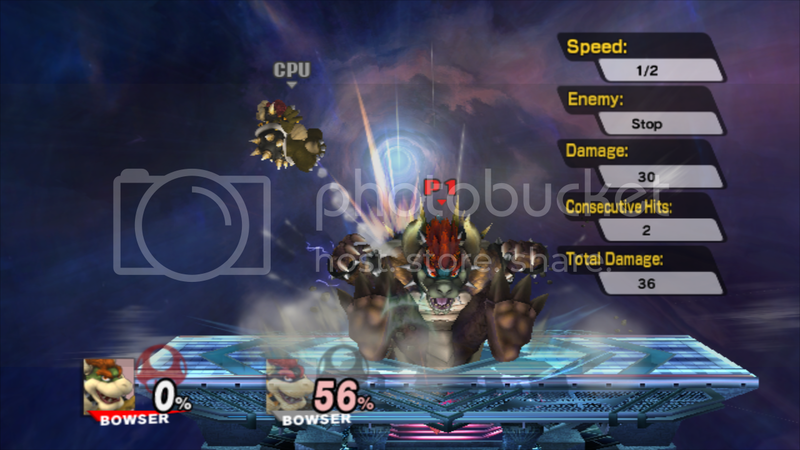 The attribute edits also affect the Subspace Emissary, though you can't normally use Giga Bowser in that game mode. 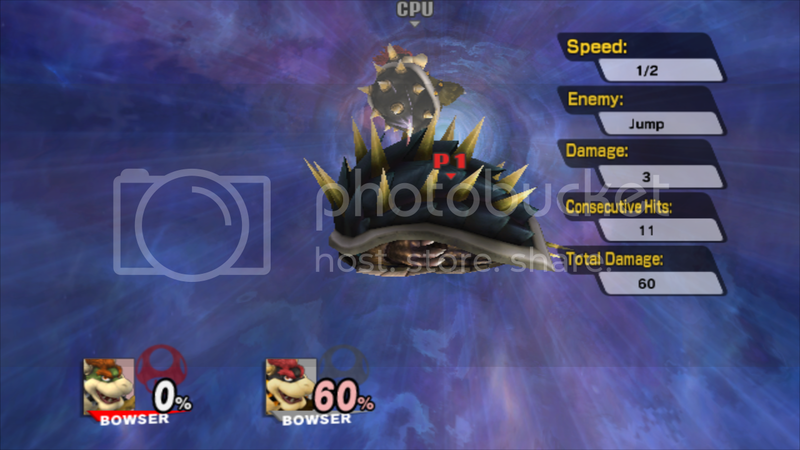 On one final note, I also tried to increase the duration of the Giga Bowser Final Smash to 1200 frames. However, it's not easy keeping track of the duration when using an emulator on your computer. Anyway, these buffs simply make Giga Bowser feel a lot more rewarding to use, since in the KO department, I've often seen Giga Bowser feeling inferior to a Bowser who picked up a Super Mushroom. And for those who are curious about this hack's origin, below is a link to my buffs to Giga Bowser in Smash Wii U. 5/23/2017 Update: After testing out my work during the past set of months, I felt that a few more things had to be adjusted. I've improved the knockback for certain attacks, such as the u-tilt, f-throw, and b-throw. The n-air deals slightly more damage as well. Also, the slow cliff attack now uses the Sakurai angle for its knockback angle, instead of sending opponents toward him. 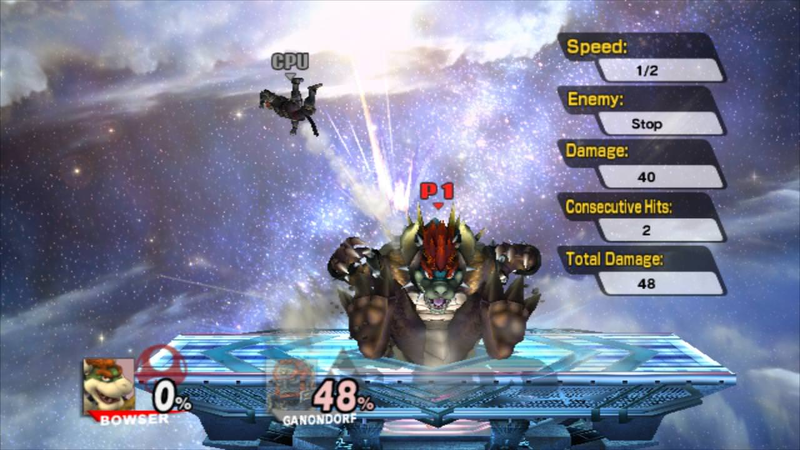 The most notable change, however, is to the Bowser Bomb's landing hitbox, which is now larger than before. Now, anyone who's caught near the landing shock wave will take damage, instead of having to be near Giga Bowser. 5/25/2017 Update: The base knockback for the u-smash's first hit has been strengthened a bit, enabling the attack to KO sooner than before. The cliff attacks have also been modified in that they deal slightly more damage, and their fixed knockback strength is stronger as well. 6/11/2017 Update: Additional damage and knockback adjustments have been made, and almost every attack deals variable shield damage now; this makes it more dangerous to try to block the attacks, even with a full shield. I also made some hitbox adjustments, and even added some new hitboxes for a few attacks. The grounded Whirling Fortress can now hit airborne targets more easily, and the late hit can now damage airborne targets; originally, the late hit could only damage fighters who are on the ground. On a side note, only the f-tilt has a chance to trip fighters now, but the odds of seeing that happen are quite small, thanks to its knockback strength; giant and metal fighters are more likely to trip, thanks to their higher knockback resistance. 6/21/2017 Update: I decided to improve Giga Bowser's grounded Whirling Fortress so that it's more efficient to use. Normally, the grounded Whirling Fortress dealt up to 2 hits, but if both of the hits got blocked, then Giga Bowser would literally be wide open to punishment. To fix up this flaw, I took a page from Smash 3DS / Wii U Bowser's grounded Whirling Fortress. Now, Giga Bowser's grounded Whirling Fortress deals up to 10 hits, with the final hit delivering high knockback. All the hits also deal some shield damage, so fighters have to think twice about blocking the hits, unless they want to risk seeing their shields break. The only downside with this attack adjustment is that the grounded Whirling Fortress makes KOs later than when it only dealt up to 2 hits. But to compensate for that drawback, the grounded Whirling Fortress can deal up to 30% damage if all 10 hits connect, instead of up to 25% damage with 2 hits. 6/22/2017 Update: This update is minor, but highly notable. The SpecialSCatch command can now grab aerial targets; originally, it could only affect fighters who are on the ground. 7/5/2017 Update: Additional adjustments have been made. F-air's base knockback is stronger; b-air's knockback angle is lower; the second hit for the dash attack and u-smash have their knockback angles adjusted; u-throw's looping hitbox deals fixed knockback, while the throw hitbox now has the Electric effect. The d-throw has also been modified in that it can not only bury bystanders, but it can also bury grabbed fighters. However, all hitboxes now deal fixed knockback, making the d-throw unable to KO anyone by itself. If there's no ground, the throw hitbox will instead send the grabbed fighter flying at a low angle. 7/6/2017 Update: After testing out my changes to the d-throw, I felt that it needed more work. Now, the d-throw's throw hitbox comes before the body slam hitboxes. However, the throw hitbox no longer buries, and can't deal any damage, but it can position the grabbed fighter to get buried by the body slam hitboxes. Also, the body slam hitboxes no longer deal fixed knockback, but despite dealing 30% damage, the knockback growth is very low, so the body slam makes KOs later than the f-throw and b-throw. Despite this, when used near stage ledges, the d-throw can be rather nasty to fighters with bad recoveries. 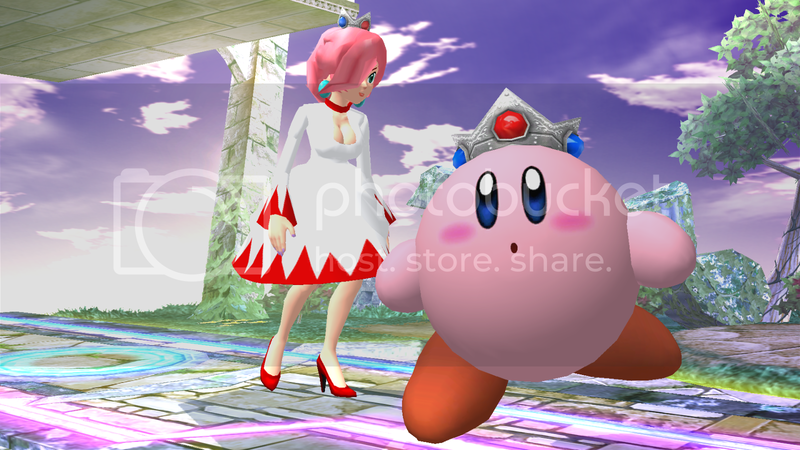 This is the Smash 3C Version of BlackJax96's Well-Endowed Peach so he is collaborated since it uses a mod imported by him. 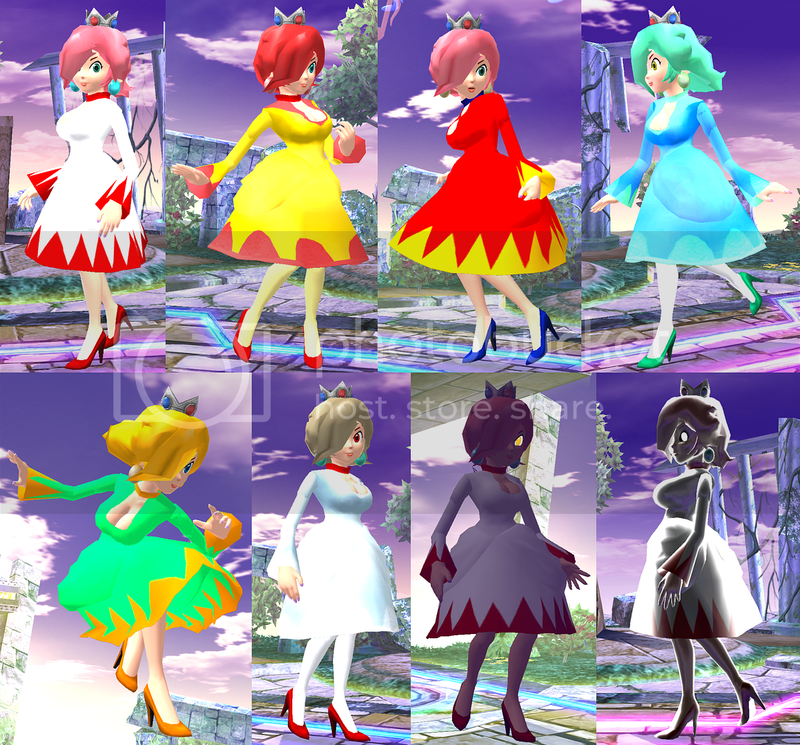 Credit goes to PMDT and Smash 3 Team and Smash 3C Team for the Project M Alts and BlackJax96 for the Well-Endowed Peach and mnsg for the Fake and Dark versions. Update 1/18/2017: Added Larger Sizes and Smaller Sizes and New CSP's and BP's. 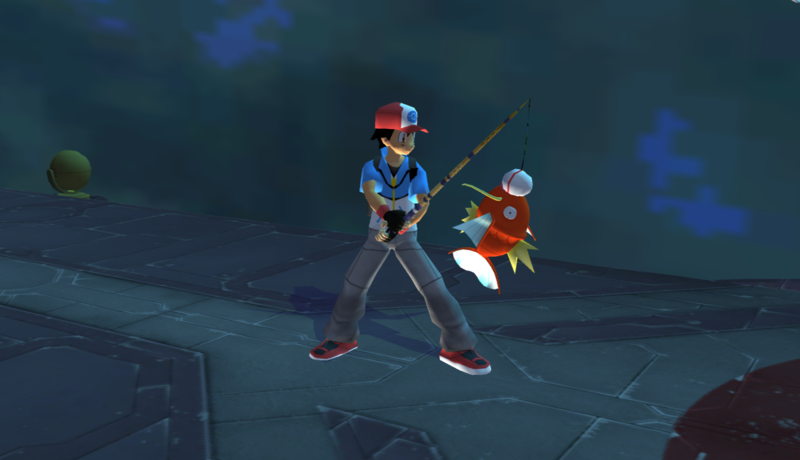 Update 1/11/2017: Reduced the filesize to make it compatible with Project M.
I made two alts for the Pokemon Trainer Ike with Old Rod and Magikarp model. An update to the old White Mage Rosalina hack that I've uploaded a couple years ago. 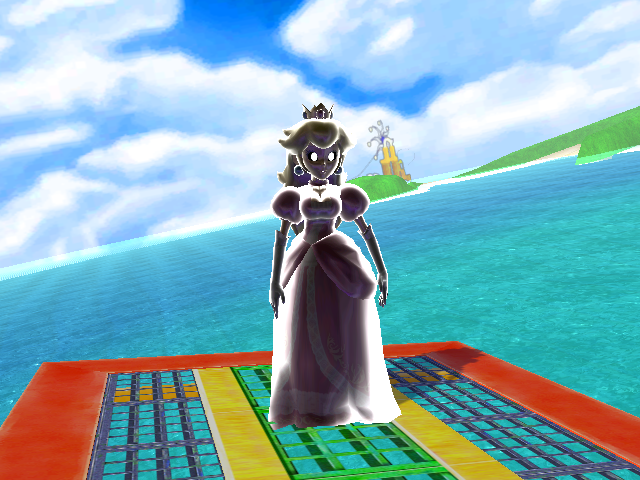 This revision utilizes the work that's implemented in the Rosalina Pack Updated hack. Credits are given to KAZECoyote, Albafika, StarWaffle, SJS, @Fellipenunesv, FQuintanilla14, and Taiko for their part of the work. 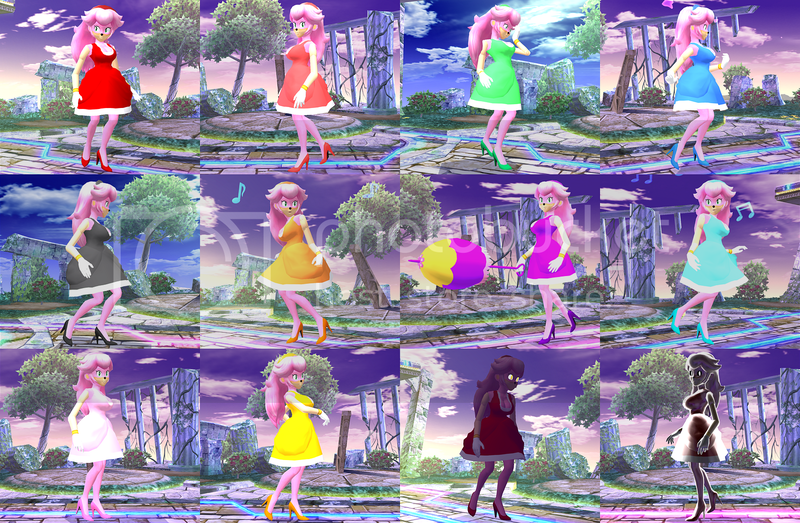 This hack is set to replace FitPeach09, but could also replace other color slots if you want. 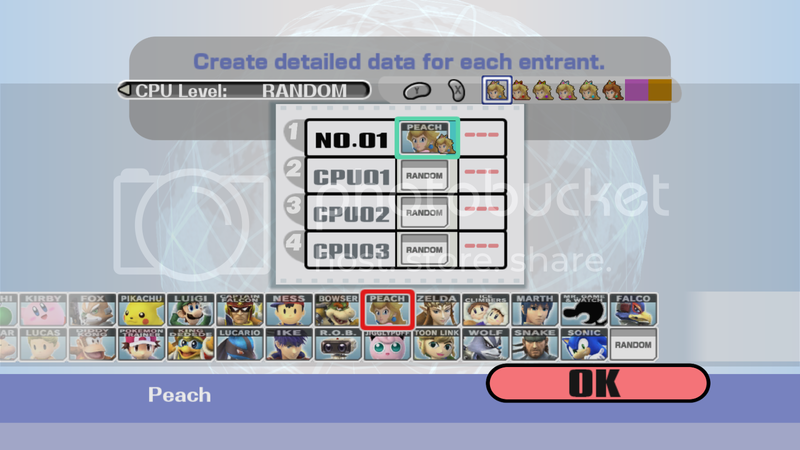 Note: Screenshots use a modified moveset and MotionEtc file, which are found in the Rosalina Pack Updated hack. Another update to Rosalina's sports-themed outfit, but this one utilizes the work that's implemented in the Rosalina Pack Updated hack. 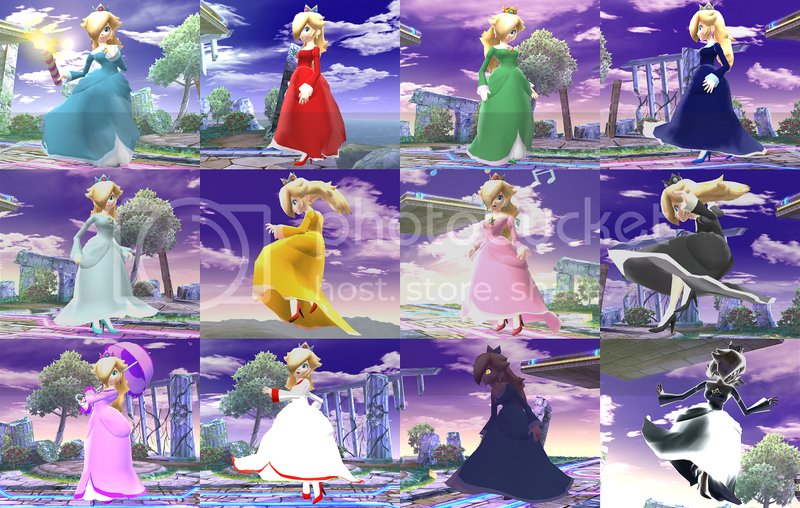 This hack is set to replace FitPeach08, but could also replace other color slots if you want. 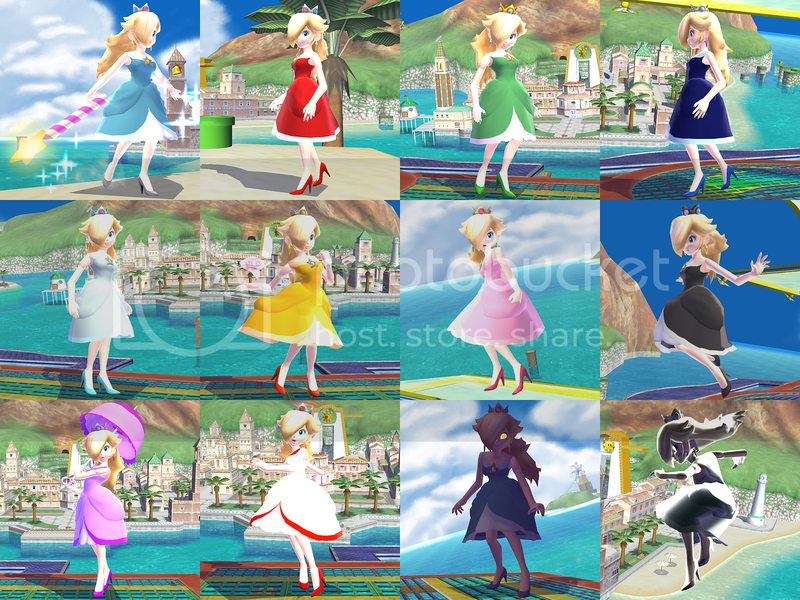 Rosalina has updated her summer-type dress for the next summer season. KAZECoyote, Albafika, StarWaffle, SJS, @Fellipenunesv, FQuintanilla14, and Taiko. One of the key additions include the lighting effects that were implemented onto the hacks from the Wii U Peach Color Pack. Another addition is a modification to the moveset file, which makes Peach bigger; one of the thumbnail images below shows the size change. This is done, because of the fact that Rosalina is quite tall. 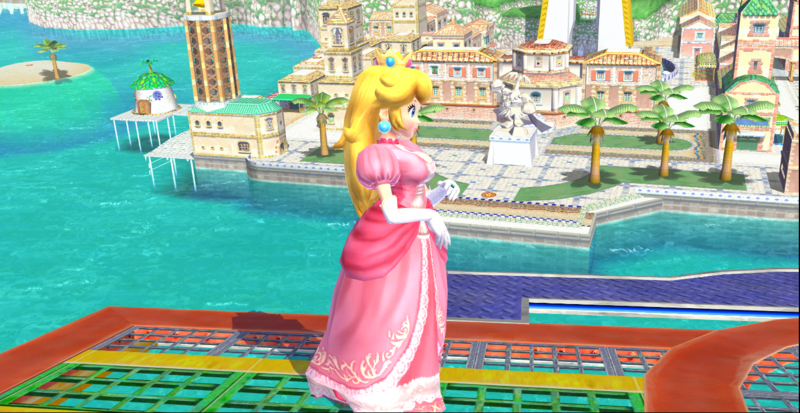 An alternate moveset file is also included, which does alter Peach's movement speed, aerial speed, and weight. The moveset files will likely desync Wi-Fi if used, however. This also applies to the MotionEtc file. On an additional note, this pack utilizes the cBliss system that ASF1nk developed, so credits are given to him. 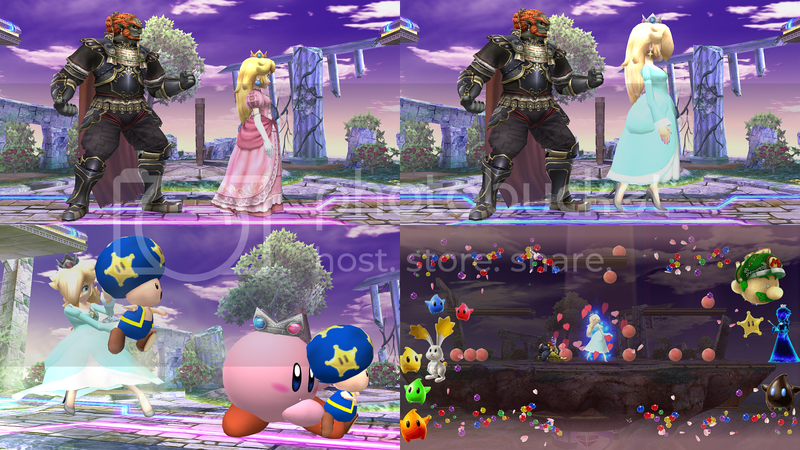 The Kirby Hat also got modified, and the Final Smash edit that I made a few years back is also used again. 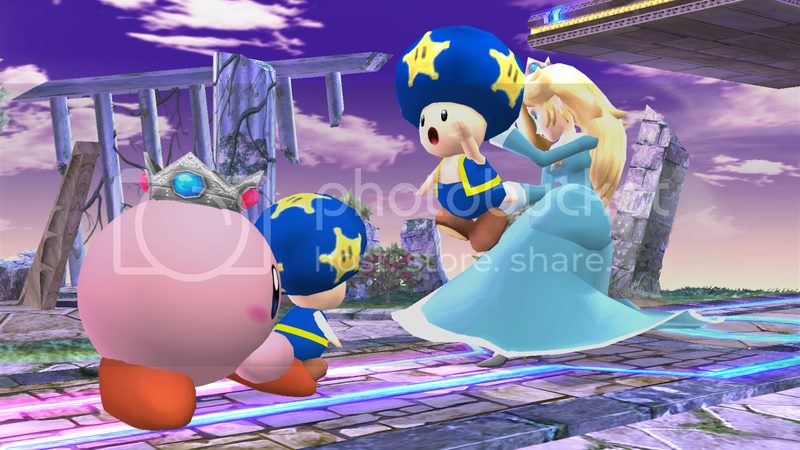 I originally planned to replace Toad with a Luma, but it did not work out as planned while doing the in-game tests. 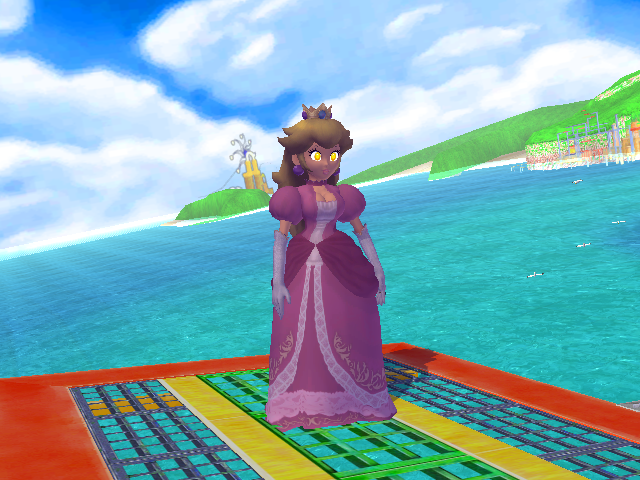 Much like with the Wii U Peach Color Pack, certain textures did have their formats changed to reduce file size. An update to the Rosalina vertex hack that I've used a lot in the past. Laverre City BGM, from Pokemon X and Pokemon Y. 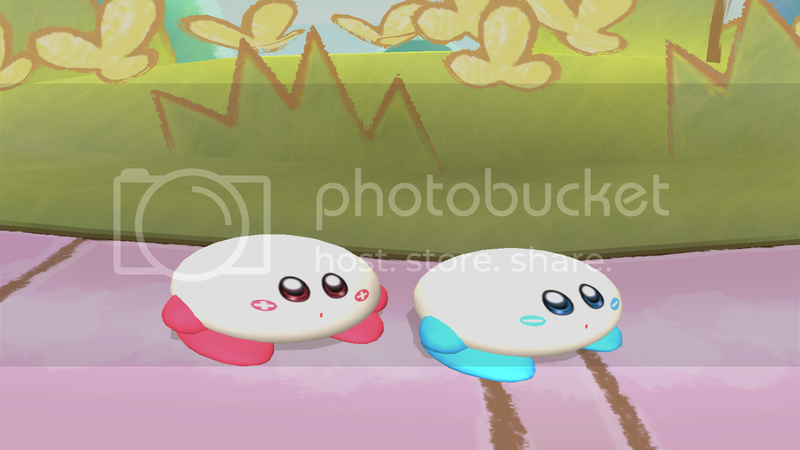 Third revision of the Plusle and Minun texture hacks that I've done for Kirby. These revisions, however, are given the Kirby Updated Project support by receiving two extra eye expressions. To use the two hacks at their fullest, you'll have to download my Kirby Updated Project, and use the MotionEtc file that's included inside. Without it, only four of the six eye expressions will be seen. Donkey Kong, Falco, Olimar, Jigglypuff, and Solid Snake caps are included, along with portraits. The cBliss folder contains the cBliss supported portraits. 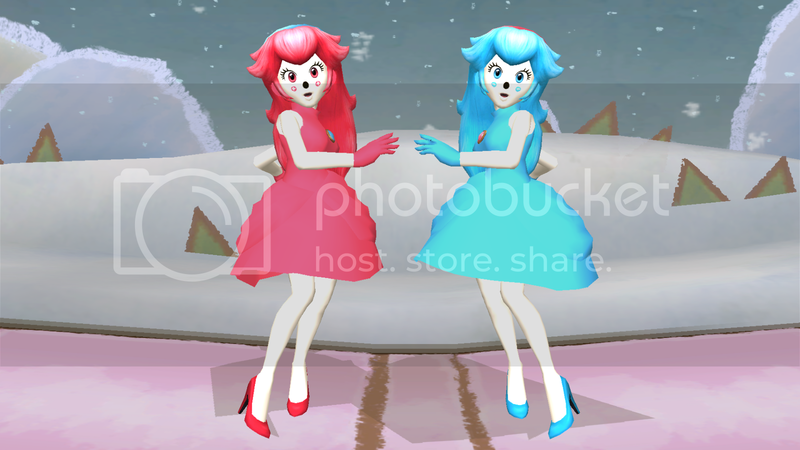 Princess Peach has received some colorations that reference Plusle and Minun. She also swapped her crown for a headband. Download does include the portraits for the two hacks. The portraits in the cBliss folder are for cBliss support. 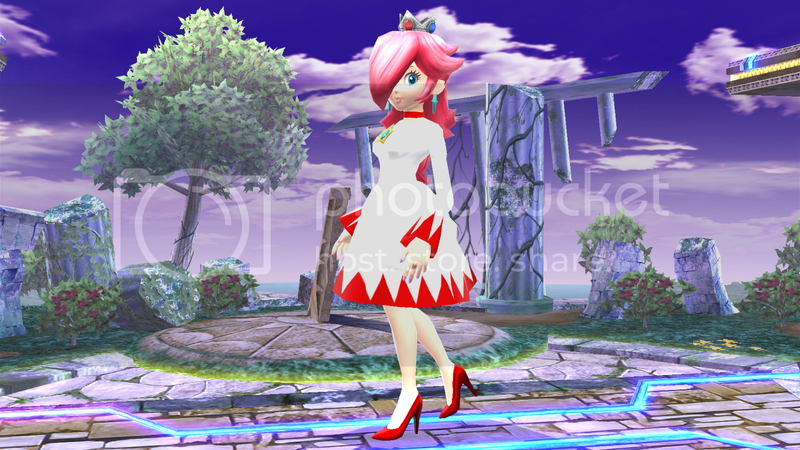 An update to my Amy Rose texture hack on Peach. 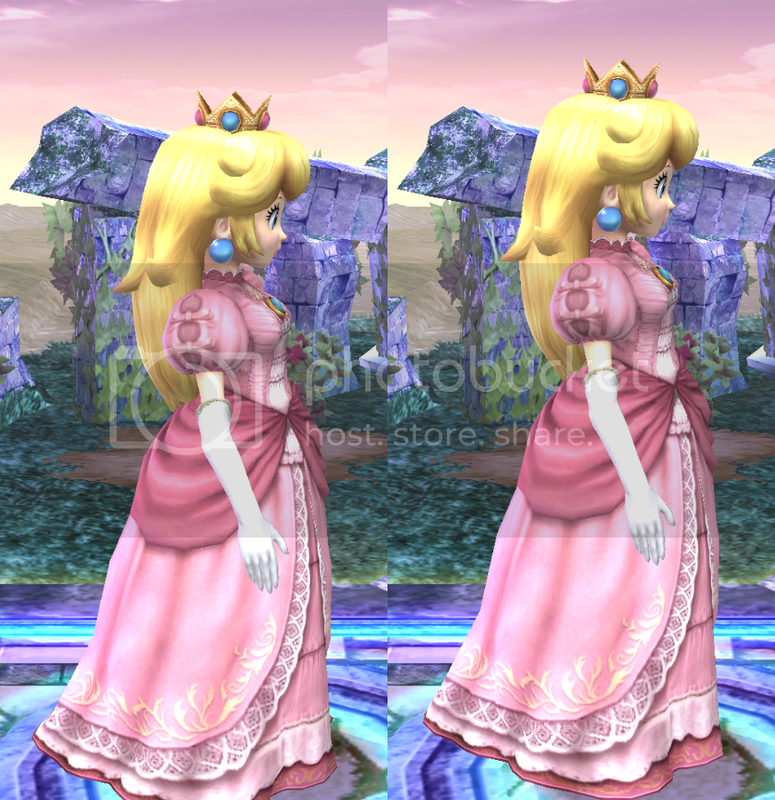 Along with the addition of a series of recolors that can be used with the cBliss system, I altered one of Peach's earring polygons to resemble a headband. I did had to remove the crown during the process though. 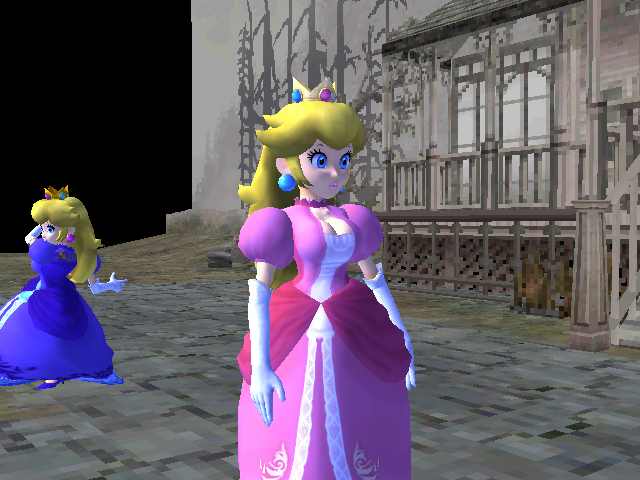 I also modified the MotionEtc file by adding some new .srt0 files, which affect the size of Peach's eye irises whenever she's damaged. This is done exclusively for this pack, but as a drawback, the texture parts for Toad had to be resized. The changes to the MotionEtc file may desync Wi-Fi matches, however. This hack uses a model import that BlackJax96 made, so he's been collaborated. Credits are also given to ASF1nk, for developing the cBliss system. I decided to do a Smash 3 version of BlackJax96's Well-Endowed Peach so he is collaborated. Credit to BlackJax96 for the Model. Credit to Taiko & Shun_One for the textures. Credit to mnsg for modifying the shading for the Fake & Dark versions. This hack is collaborated with BlackJax96 since it uses an import owned by him. I did the textures for the Fake version. This also supports cBliss. 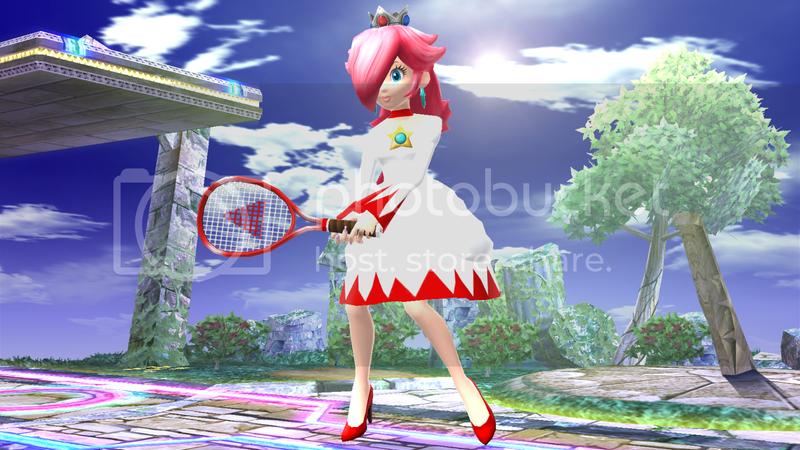 Wanting to make a change from her typical royal dress, Peach decided to wear a more casual looking dress. The dress is not only shorter in length, but the sleeves have been altered as well. This hack pack utilizes my personal vertex edits, which were done with a combination of BrawlBox, and Autodesk 3ds Max. Additionally, the pack was made to support the cBliss system that ASF1nk made, meaning that there are up to 10 different color options to choose from. Much like with the past packs, this one also contains modifications to the main menu, but it also implements some custom stock icons during the process. Now, since this pack uses a modified MotionEtc file, it may desync Wi-Fi if the MotionEtc file is used. Credit is given to ASF1nk, as he's the creator of the cBliss system. Note: There are two versions of MenSelchrFaceB120.brres in the download. The main one contains the CI8 format portraits, while the one inside the char_bust_tex_cmpr folder contains the CMPR format portraits. This pack is an expansion set for my Kirby Updated Project, designed specifically for the cBliss system that ASF1nk created. The pack comes included with four extra Kirby colors, with all of them implementing the two new eye expressions. Regarding Monochrome Kirby, unlike with White Kirby, Monochrome Kirby is completely grayscale, which includes even his Final Smash eyes. However, this doesn't fully apply to Monochrome Kirby's caps. It should also be noted that for the Olimar cap, the light that's on top of the antenna will not be visible for FitKirbyPikmin07, FitKirbyPikmin08, and FitKirbyPikmin09. I've also altered the portrait positions, following the cBliss system's color slot protocol, and added portraits for the extra recolors. Now, while my Kirby CSP portraits are using the CI8 texture format, I also did up a MenSelchrFaceB050.brres revision, in which the CSP portraits are using the CMPR texture format; it'll be inside the char_bust_tex_cmpr folder. In terms of CSS usage, If you want to replace the CI8 revision of my Kirby CSPs with the CMPR revision, open up char_bust_tex_lz77.pac, and replace the .brres archive that reads MiscData with the CMPR revision; that'll be where Kirby's portraits are stored. Afterwards, set the newly replaced .brres archive's compression to LZ77, and save char_bust_tex_lz77.pac. You'll then have to replace the old char_bust_tex_lz77 archive that's in sc_selcharacter.pac with the newly updated char_bust_tex_lz77.pac file. Feel free to use the expansion set to your heart's content, but remember to collaborate me if you use any of the Kirby hacks in this pack in your own projects. Credit is given to ASF1nk, since he's the creator of the cBliss system. The rest of the work is mine. I did not make this vertex hack. I just edit the textures & saturated them. Credit goes to mnsg for making the vertex hack with BrawlBox v0.68. A project, which updates Kirby by giving him two additional eye expressions. 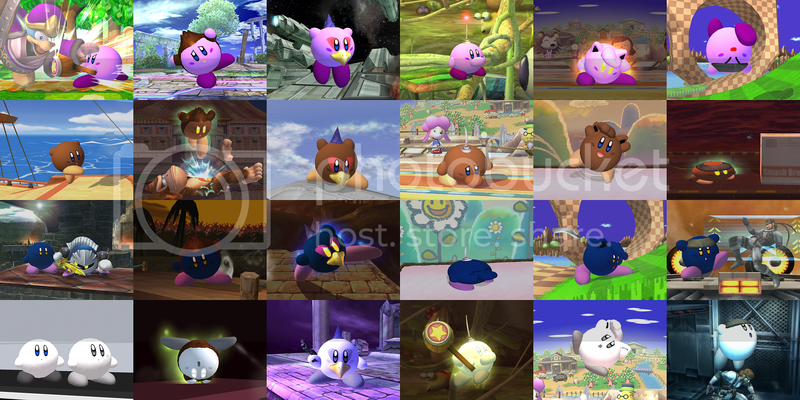 Kirby now has a total of "6" eye expressions, and his textures have also been altered to make him more brightly colored; the textures are now based on Kirby's textures from Return to Dream Land. However, because of the new eye texture additions, the size of the eye textures have been reduced to 64x64 pixels; this also applies to the Final Smash eye textures. Another change is that nearly every single texture part that uses the CMPR texture format now uses the RGB565 texture format, and most of them have their size dimensions cut in half during the process; 256x256 to 128x128. 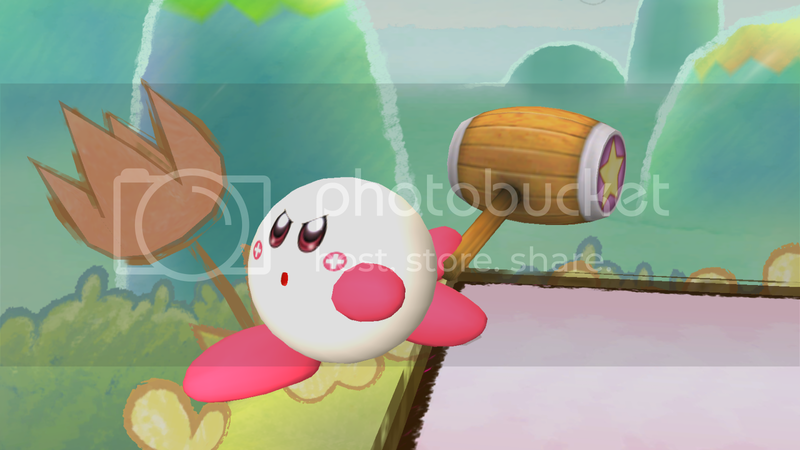 The texture format changes only really apply to Kirby's body and feet though. The reason for the texture format changes is for texture quality purposes, as the CMPR format tends to not be too friendly with Kirby's eye textures with its compression. 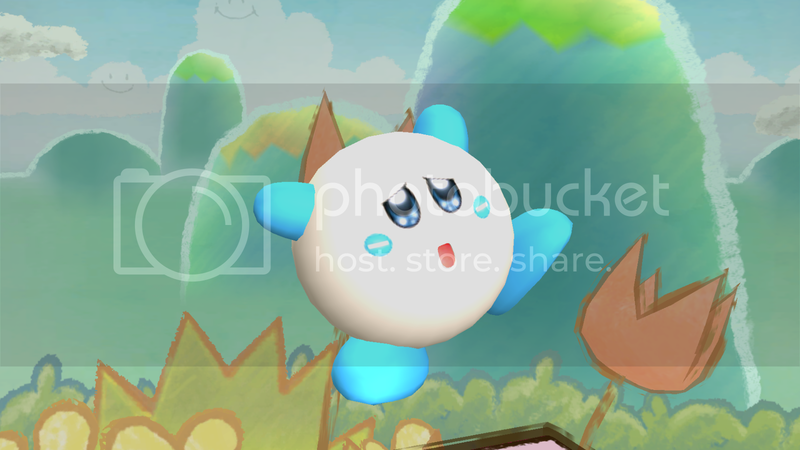 In terms of Shadow Kirby (FitKirbyDark), his eye textures now use the I4 texture format. 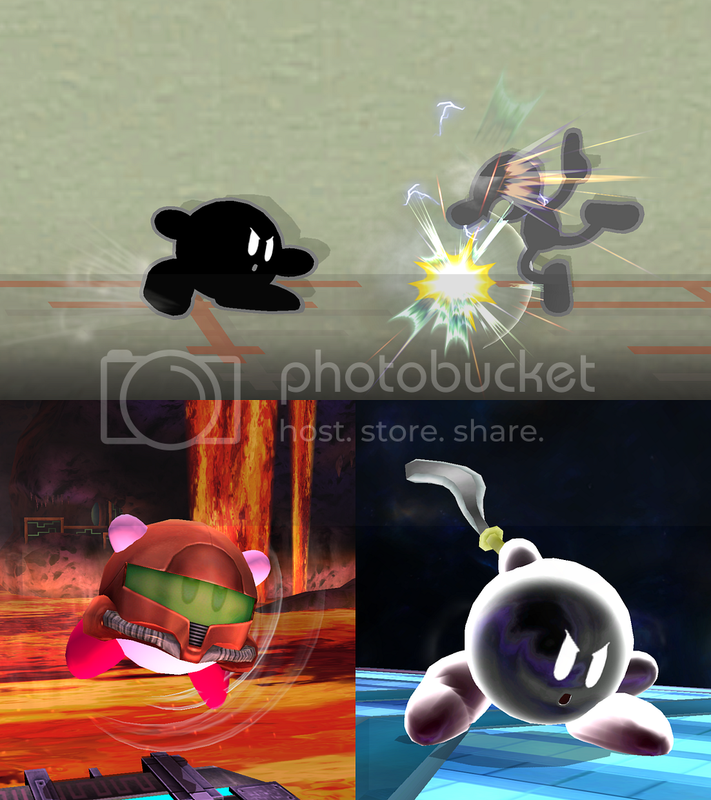 Final Smash eyes still use the RGBA8 texture format, except for with Shadow Kirby, whose Final Smash eyes use the RGB5A3 texture format. The eye texture additions have also been applied onto some of the Kirby Hats; most notably the Donkey Kong, Falco, Mr. G&W, Olimar, Jigglypuff, and Solid Snake caps. Also, while the Samus cap does not affect Kirby's model, it does implement Kirby's eye textures, so that cap has been modified with the new eye textures too. On a side note, Kirby's Solid Snake cap no longer has facial hair, more referencing Solid Snake before he had facial hair. The biggest change, however, is to the MotionEtc file, which now implements the new eye expressions onto certain animations. For one example, Kirby now shows a mad expression while using the f-smash. The changes to the MotionEtc file may desync Wi-Fi, but it's required in order to get the new eye expressions; without it, you'll only get to see the original four eye expressions. 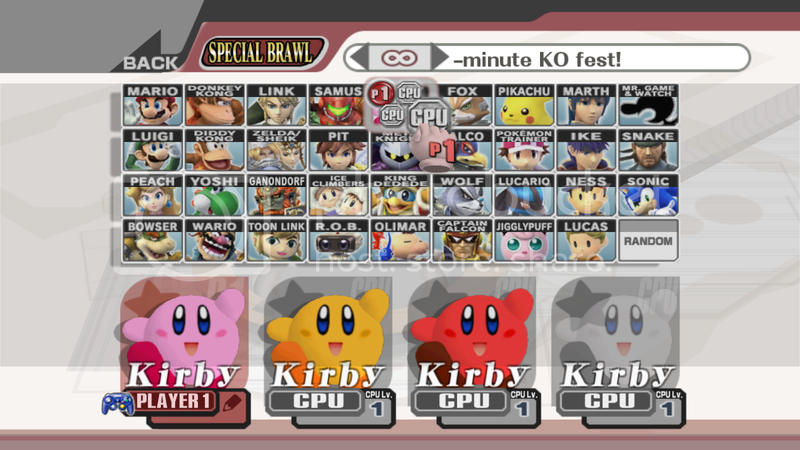 Now, because the animation changes affect all of Kirby's color slots, all the Kirby color slots have been modified to support the changes. 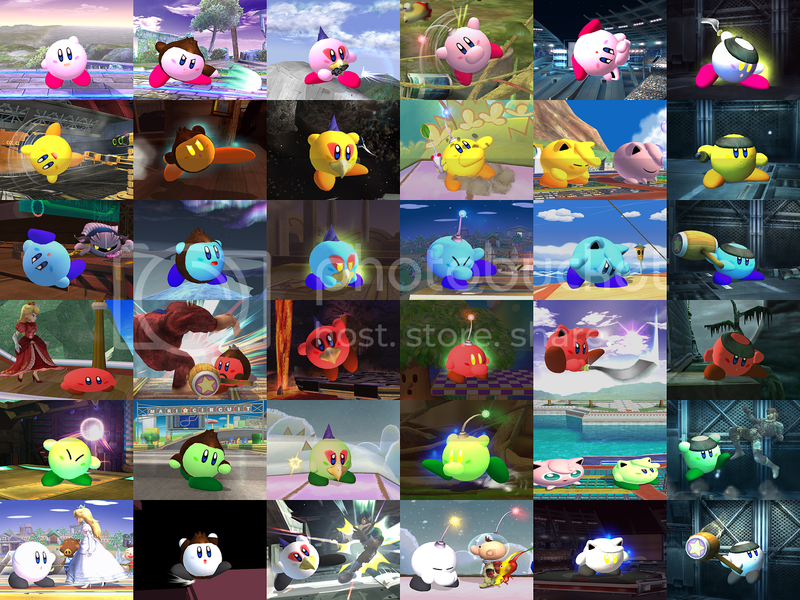 The main menu has also been modified by replacing Kirby's portraits with the newer revisions. With that said, enjoy the updated Kirby to your heart's desire. I've spent a lot of days developing the project, along with testing it, so I hope that it has no serious issues for anyone else. Notice: If you use any of the materials in this project in your own hacks, please collaborate me. This is merely another White Mage pack revision, with the added vertex modifications that were made with BrawlBox v0.68+. Now, because this White Mage pack revision uses a model import made by BlackJax96 (the modified polygon1), he's been collaborated. Also, credits are given to Lecapria (Ms Spinda) for the original White Mage vertex hack. All other vertex modifications were done by myself, along with the dark and fake versions of BlackJax96's model import. Note: This pack may desync Wi-Fi, as it uses a MotionEtc file that alters certain animations. 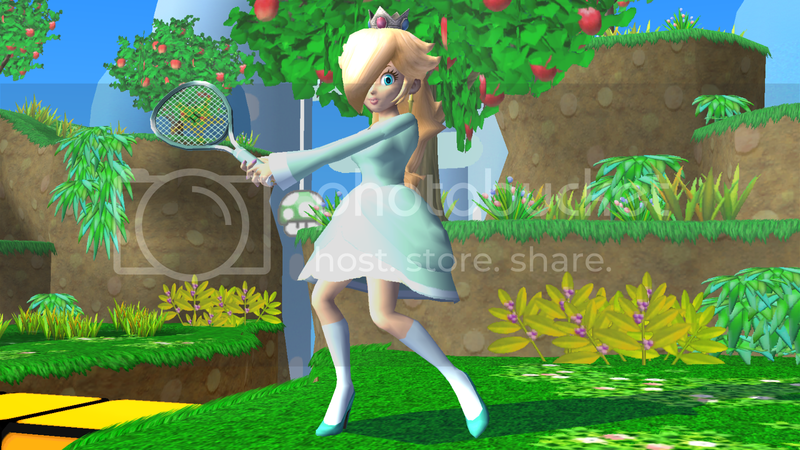 My third true texture revision for my Sports Rosalina hack. The third revision merges the texture modifications from my Rosalina Pack and Summer Rosalina hacks, along with implementing long light blue socks into the mix. The back hair is KAZECoyote's work, while the rest of the vertex editing is my work. An update to my Sunshine Peach pack, which removes the breast buffs, and fixes up her shoes. Additionally, some minor texture changes have been implemented along the way. 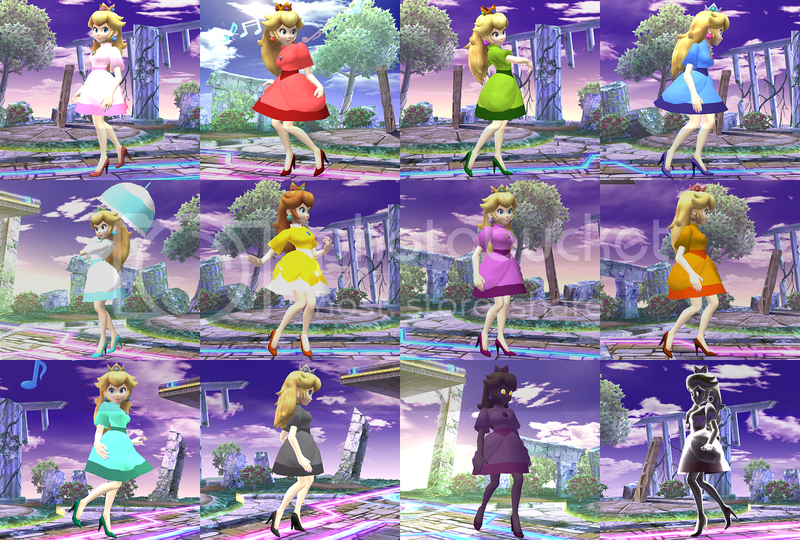 Pretty much all the contents from the Sunshine Peach pack are used again, except for the moveset changes, as the MotionEtc file is used to alter Peach's height now. 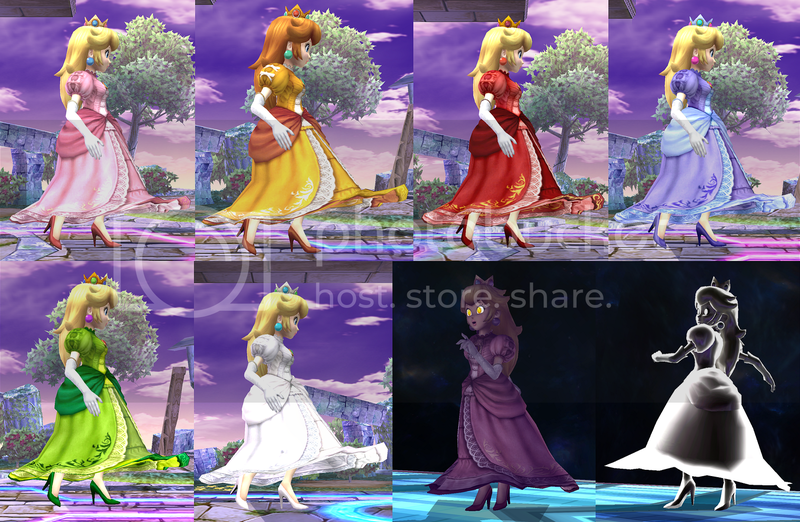 Just keep note that the animation edits may desync Wi-Fi, as they affect all of Peach's color slots. 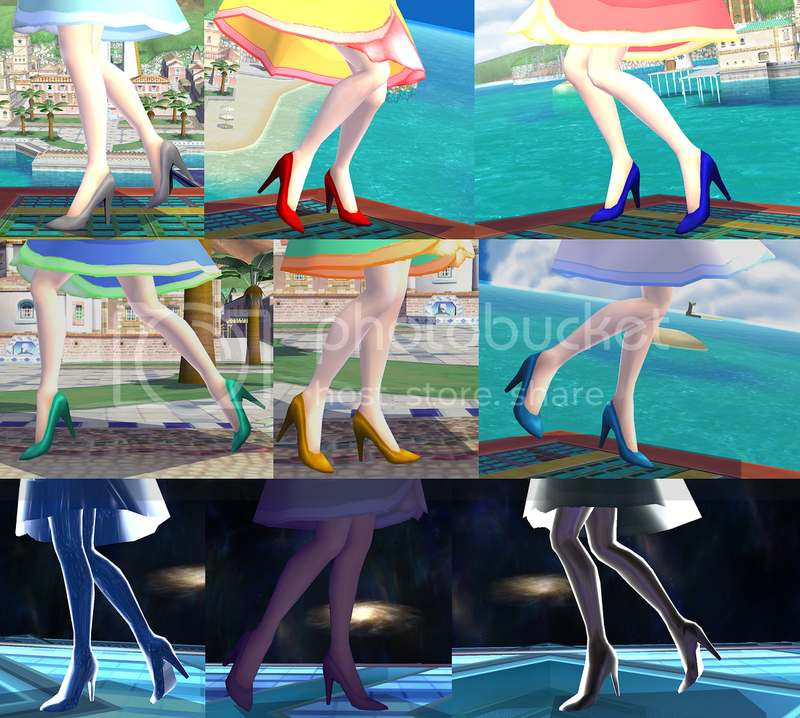 This is basically an updated revision of my Rosalina Pack, with major improvements on the shoes. 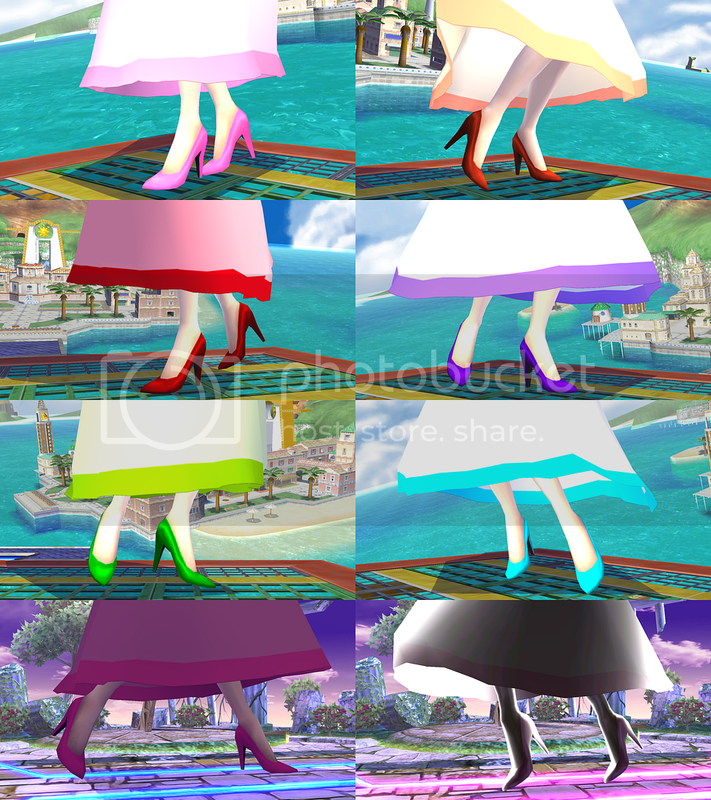 Much like with my Peach's New Shoes pack, I replicated the shoe edits from there onto this pack with BrawlBox v0.68. 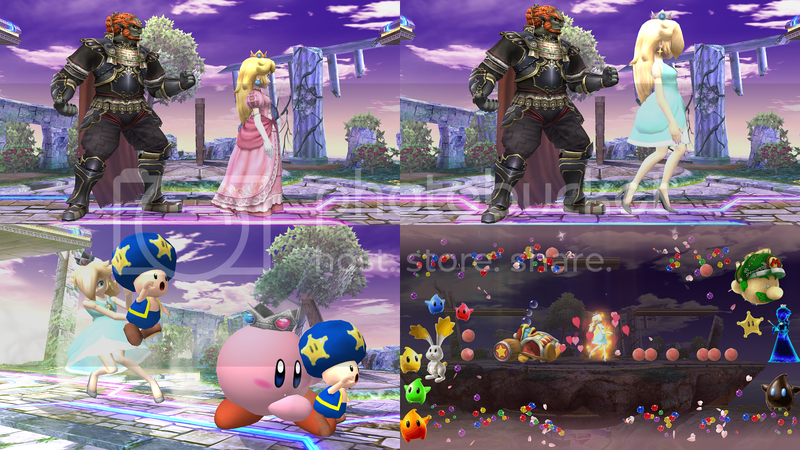 Pretty much everything from the Rosalina Pack is reused again in this updated pack, which does include the height increase, Cosmic Toad, the Kirby Hat, the Final Smash, and even the animation modifications. And of course, my moveset modifications are reused again. 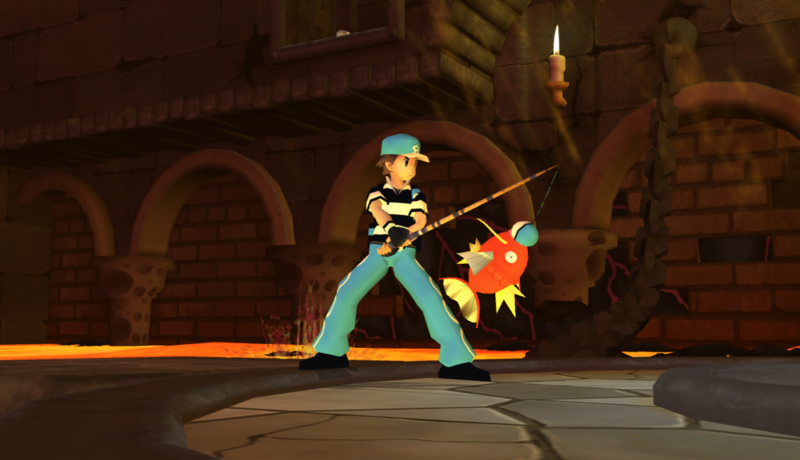 Changes to animations and movesets may desync Wi-Fi, however. The hair modifications are KAZECoyote's work, so credits to him. 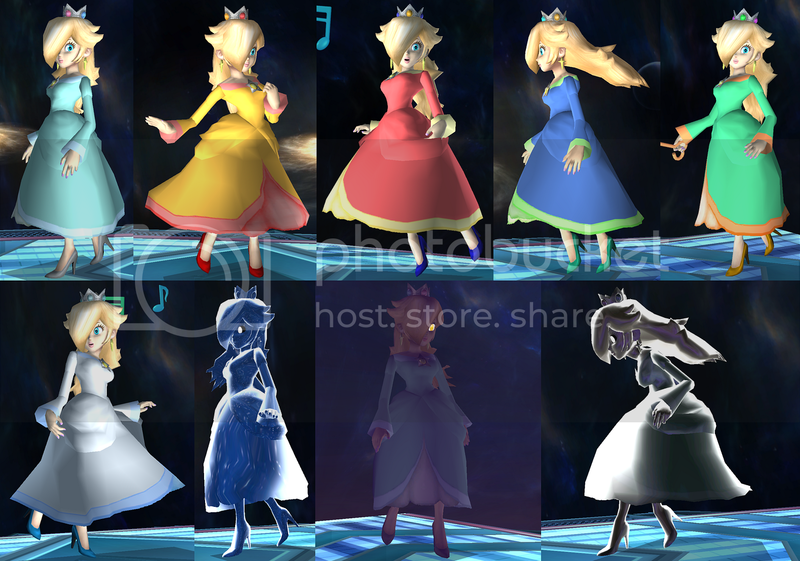 Keep note that the animations in this pack are the same as that from the Peach's New Shoes pack. 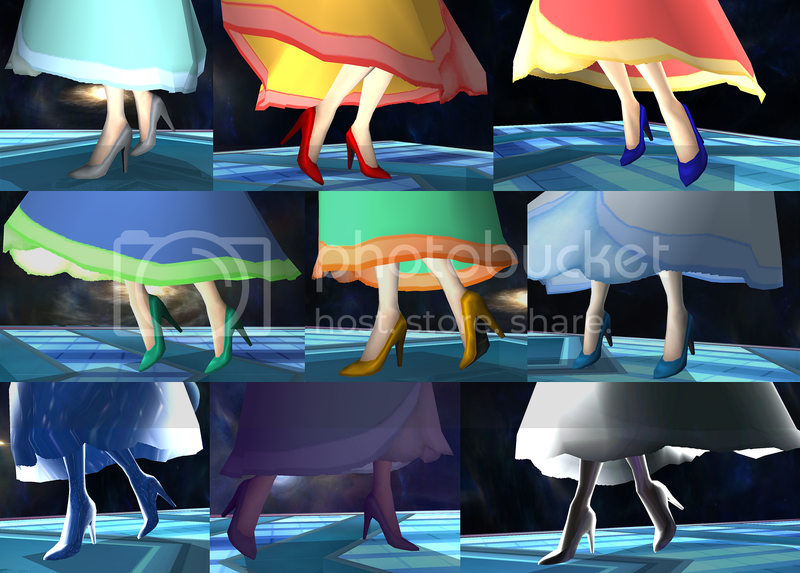 An update to the Summer Rosalina pack, which greatly improves the shoes so that they now look like the shoes from my Peach's New Shoes pack, all thanks to BrawlBox v0.68. Pretty much everything from the old Summer Rosalina pack is reused again in this updated pack, which does include the height increase, Cosmic Toad, the Kirby Hat, the Final Smash, and even the animation modifications. 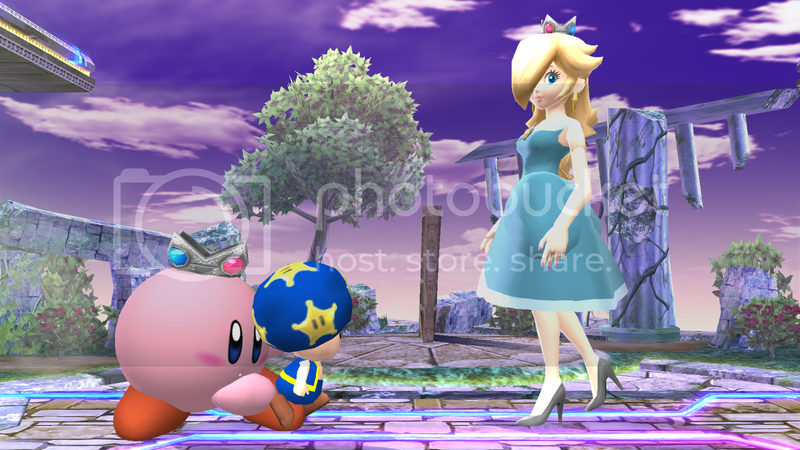 However, the height increase used in this pack is from the older Rosalina Pack. 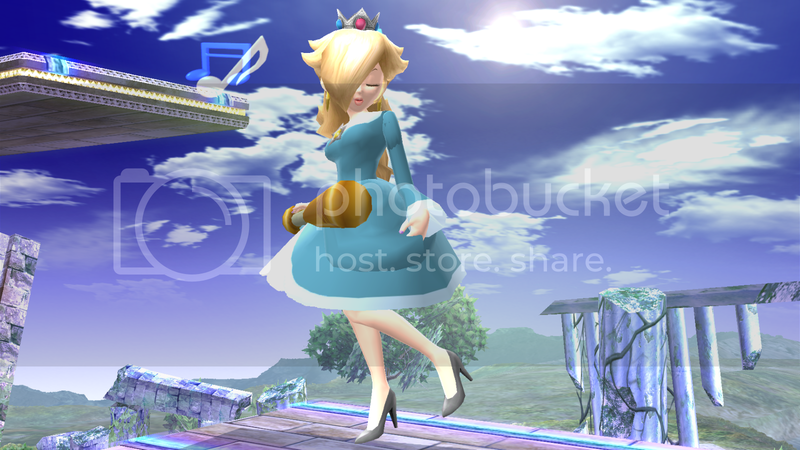 With the release of BrawlBox v0.68, I decided to retry modifying Peach's shoes, all thanks to its vertex editing features. 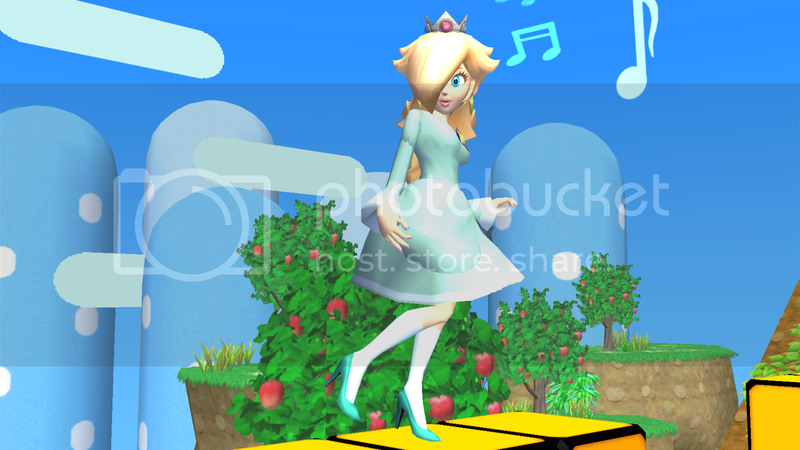 Unlike with my last vertex edit attempt on Peach's shoes, this attempt is a major improvement in that it doesn't make Peach's legs look weird. 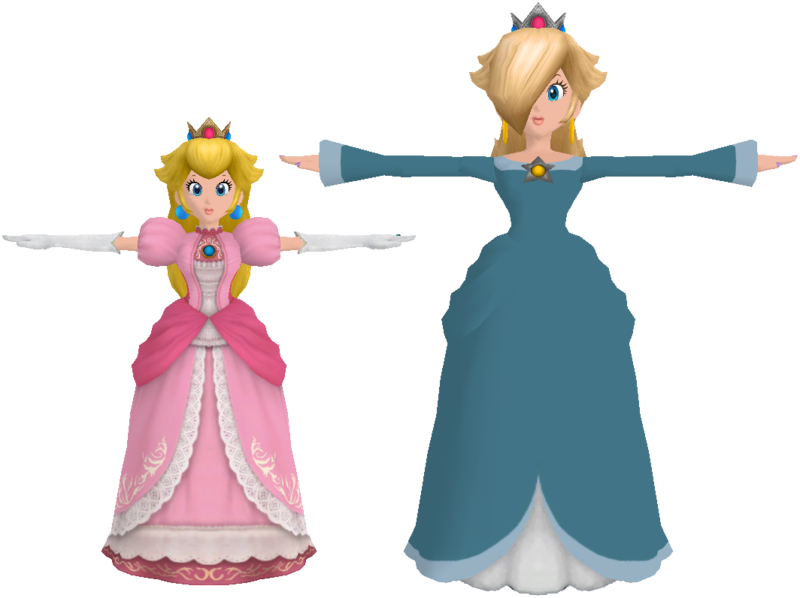 As a matter of fact, this revision actually makes Peach appear taller without the need to do any moveset editing, but some animation edits still had to be done. 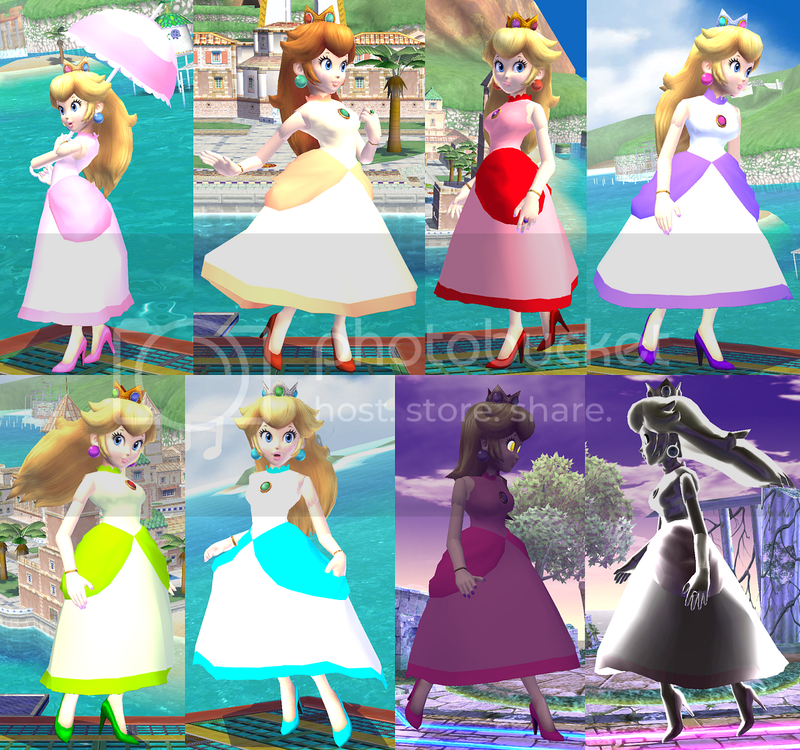 The vertex edits are applied onto all of Peach's recolors, along with her dark and fake models. 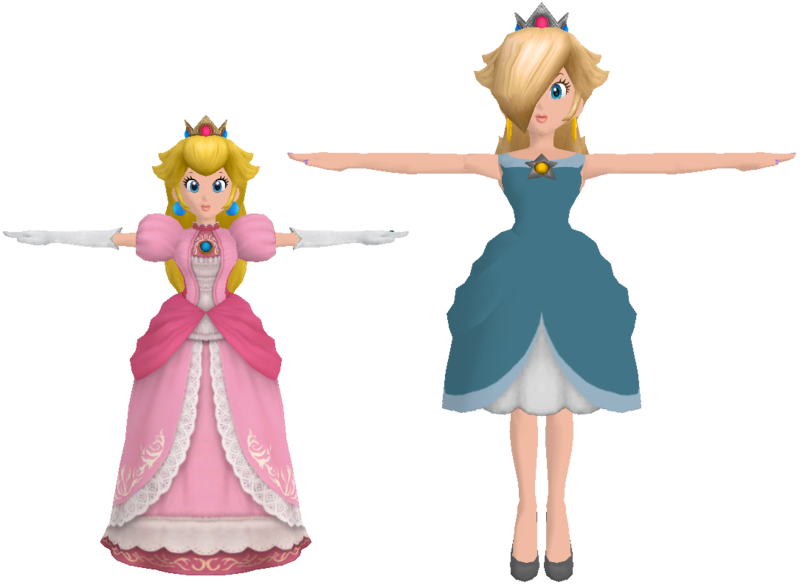 Also included is the MotionEtc file that's needed for the vertex edits, as I did have to alter the position of Peach's YRotN bone to affect her height for certain animations. 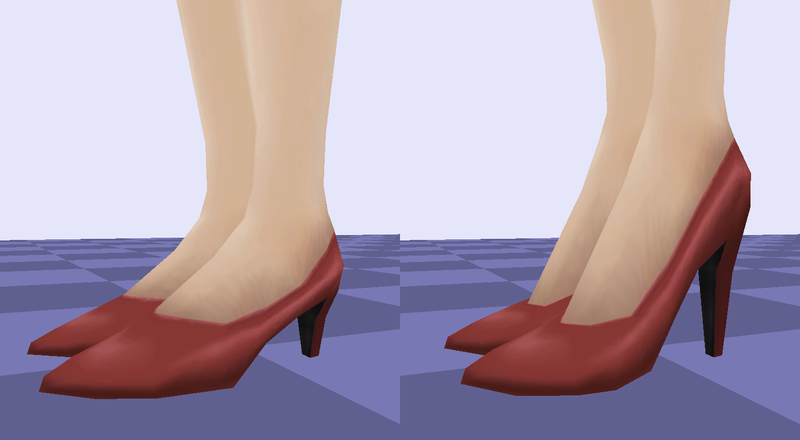 Also, while these vertex edits are more friendly with the foot animations, the toe animations had to be removed. As a result, the animation edits may desync Wi-Fi. 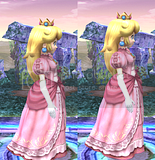 The second image depicts the height change that Peach receives when the MotionEtc file is used. For a better idea on the shoe changes, refer to the third image. No textures have been modified, so this hack is solely a model and animation hack. 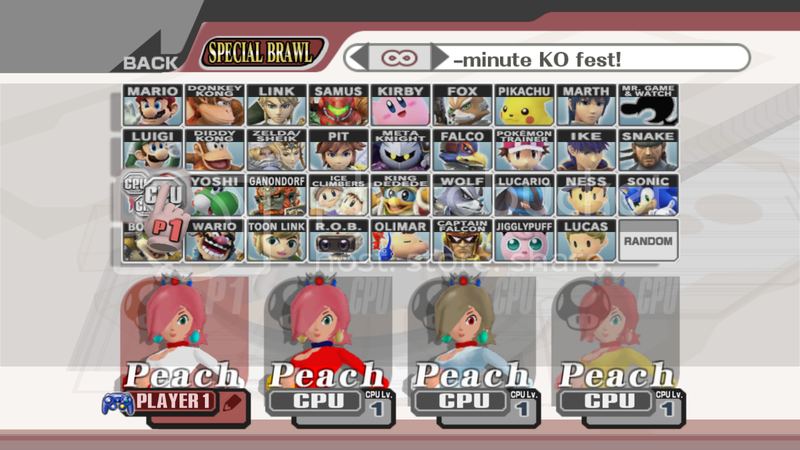 Also, NO breast buffs, as I've scrapped them ever since BlackJax96 released his breast buff import for Peach. 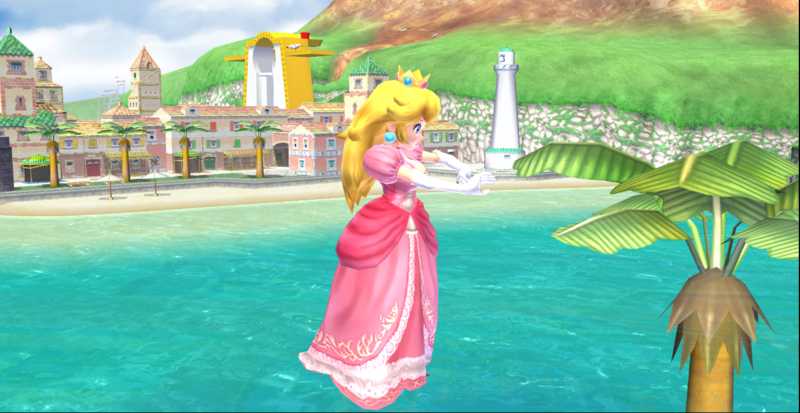 Note: The height edit does make Peach's parasol for her entry animations be out of place. It's a minor issue though, which apparently doesn't happen with her taunts, or her upward special move.